SHEFFIELD face two Championship Shield fixtures in the space of three days this weekend. 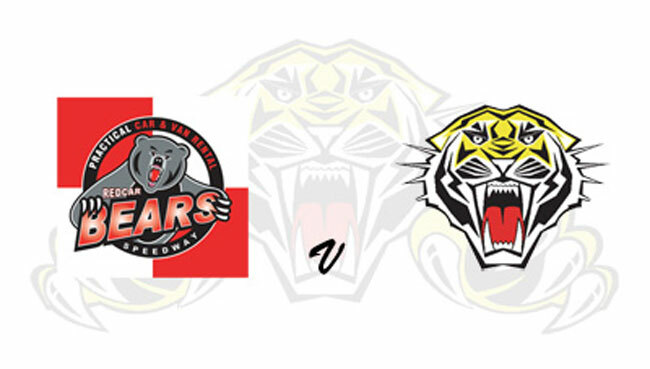 Tigers head to Redcar on Friday (7.30) before hosting the Bears back at Owlerton on Sunday (4pm). The Steel City side got their campaign off to a winning start at home to Scunthorpe last weekend with plenty of positives to take out of their opener. Aussie Zaine Kennedy scored paid double figures on his debut - and now he is hoping for an encouraging first away fixture in British Speedway on Friday as he celebrates his 21st birthday. “If we could add to our points in the group that would be a good present," he said. "Redcar have got some decent riders though and we're expecting them to push us in both meetings. "But we take it one meeting at a time and I'm looking forward to my first away one for Sheffield. "Obviously I haven't seen the track before but I've heard a couple of good things about it and I'm always up for a challenge." Redcar include Sheffield's 2018 Rider of the Year Charles Wright alongside former Tigers' youngsters Nathan Greaves and Jack Smith. REDCAR: Michael Palm Toft, Tom Bacon, Ben Barker, Jordan Stewart, Charles Wright, Nathan Greaves, Jack Smith.